Tell us what your newest book is about. The story is about private military contractors operating inside the border of the United States. Specifically, a disgraced ex-cop who works as a law enforcement contractor for the DEA. 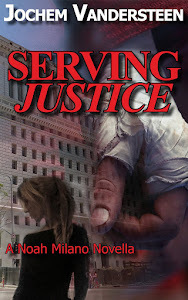 When he and his partner take down the wrong shipment of drugs, they come into the possession of a star witness in a cartel trial, a woman everybody wants dead. In order to save her life, and their own, they must transport her across Texas to the courthouse in Marfa, near El Paso. Seems like forever, at least to me. Probably four years and I don't know how many drafts and partial drafts. I did a fair amount of research about PMCs or private military contractors. I also learned that US Government does employ private law enforcement contractors, i. e. people who have a gun, a badge, and the right to use deadly force, but whose paycheck comes from a private company. Where did you come up with the plot, what inspired you? The plot sprang from a totally unrelated idea, the notion of a son trying to reconcile with his father and both of them keeping secrets from the other. There's still a big element of that in the book, however. Which scenes did you enjoy writing the most? Piper, the main character's partner and on-again/off-again lover. She's a mess. But so much fun. Her motto: When in doubt, shoot something. Is there anything else you'd like to say about the novel? 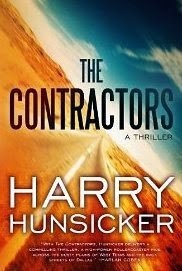 I'm very humbled and grateful to have gotten a starred review in Publishers Weekly for THE CONTRACTORS. Hope everybody likes the novel.